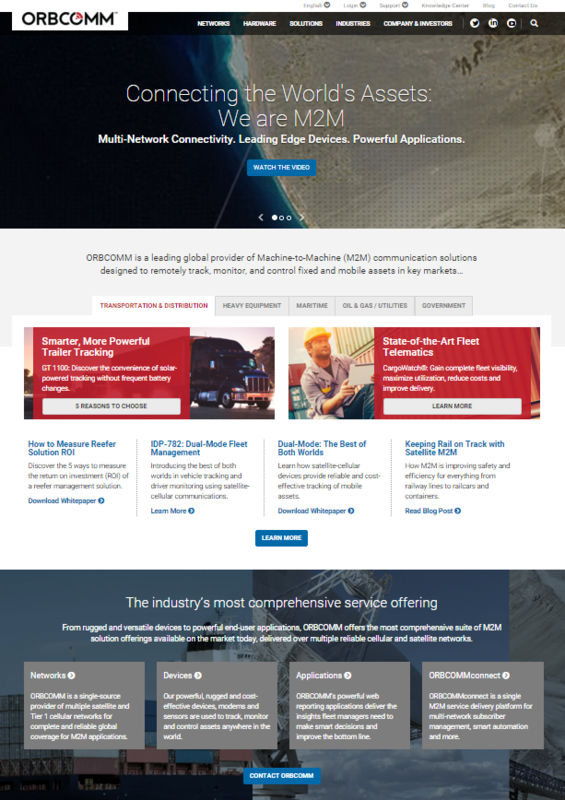 From introducing new and innovative products, to launching our next generation satellite constellation, to acquiring companies and technology to help us further expand the M2M industry’s most comprehensive service offering … a lot has changed at ORBCOMM since we launched our last corporate website a couple of years ago. So too has web technology and our users’ expectations in terms of online service delivery. As a result, we got to work building a modernized website designed to better serve the needs of our customers, investors and other visitors. We’re proud to formally introduce you to the new ORBCOMM.com. Our new website is more user-friendly, and optimized for mobile devices and the latest web technologies. From hardware and solution information, to updates and video of our latest satellite launch, to valuable white papers and other resources—virtually everything is now one easy click or tap away. Our customers can also use the site as a hub to connect to our web applications, our subscriber management platform, our new mobile app and customer support. You can browse the new site by industry—transportation, heavy equipment, oil & gas, utilities and government—where we’ll show the latest articles, blog posts, products and applications that are relevant to you. If you’re interested in learning more about specific product offerings, you’ll find dedicated pages for each individual application and hardware device, including screenshots and detailed spec sheets.